You might want to rethink using those “edible-looking” wild mushrooms growing in your backyard for your next meal. In a recent case study published in the Canadian Medical Association Journal, researchers suggest that foraging and consuming wild mushrooms can lead to liver failure or even death because people often mistake poisonous mushrooms for edible versions. The case study features a 52-year-old female immigrant from Asia, who presented herself to the emergency department with abdominal cramping, nausea, vomiting, and diarrhea—common symptoms resulting from phase one poisoning. Her and her husband had been foraging in a local park earlier that day and likely mistook the mushrooms for an edible species familiar to them from back home. The patient brought samples of the mushrooms she had consumed—a toxic species called Aminata bisporigera. After 36 hours, the patient’s liver began to deteriorate, landing her in the intensive care unit. She had skipped the second phase of poisoning—a false recovery period which typically occurs 24 to 48 hours after ingestion (during this phase a patient’s symptoms typically subside, leading to a premature hospital discharge). In this case, the patient proceeded directly to phase three symptoms. Her status began to worsen, leading to the need for an emergency liver transplant. Medical personnel immediately contacted poison control and the liver transplant team. There were no complications following the procedure and the patient was discharged after 10 days. Although there is no antidote for mushroom toxins, charcoal can be given to patients to help absorb the toxins; however, it must be administered promptly. Researchers concluded that public health officials should be notified when a case of toxicity occurs to ensure that the source of toxic mushrooms is located to prevent further cases of poisoning. 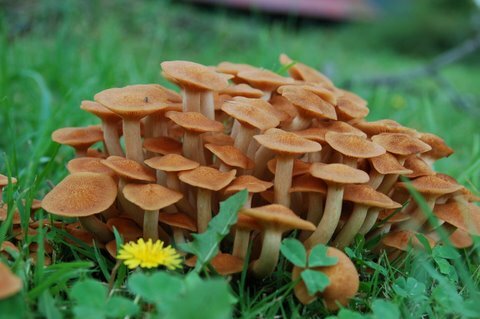 “Eating wild, foraged mushrooms can result in liver failure or death because misidentification is common,” Medical News Today web site, July 13, 2015; http://www.medicalnewstoday.com/releases/296682.php?tw. Stein, C.M., et al., “Fulminant hepatic failure following ingestion of wild mushrooms,” Canadian Medical Association Journal July 13, 2015; doi:10.1503/cmaj.150080.